We have a new challenge today at 7 Kids College Fund Challenge blog ANYTHING GOES!! 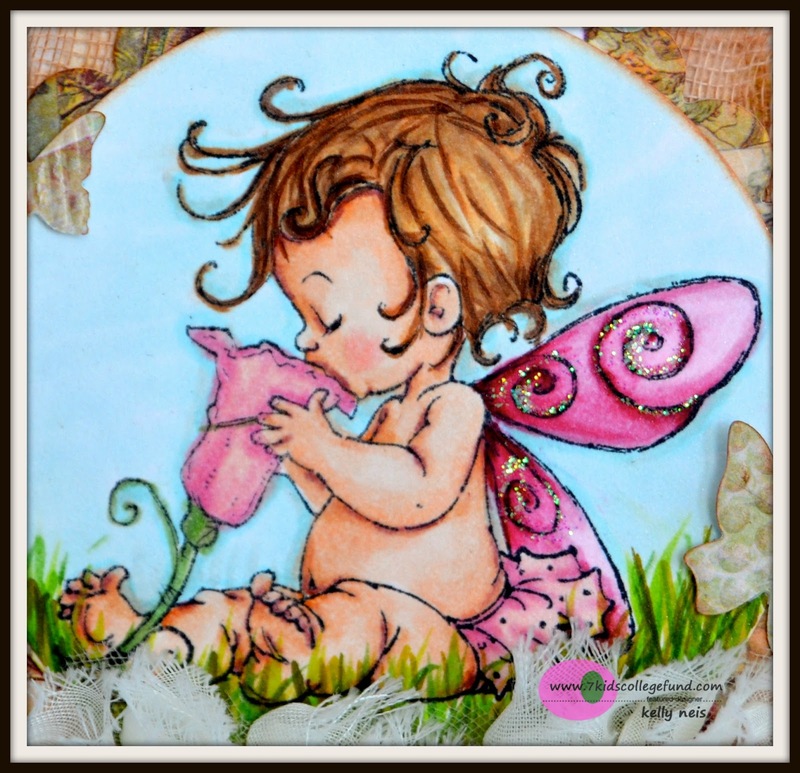 I made a card using a Fairy from the acrylic stamp set Fairy Sweet by Mo Manning. My card base is a Go-Kreate die and the Anja's Card Base to hold it up. My image is colored in Copics and I distressed around all the edges with Tea Dye and Vintage Photo. Here are the Marianne Creatable flowers and leaf set and then I added a rose to the top of it. 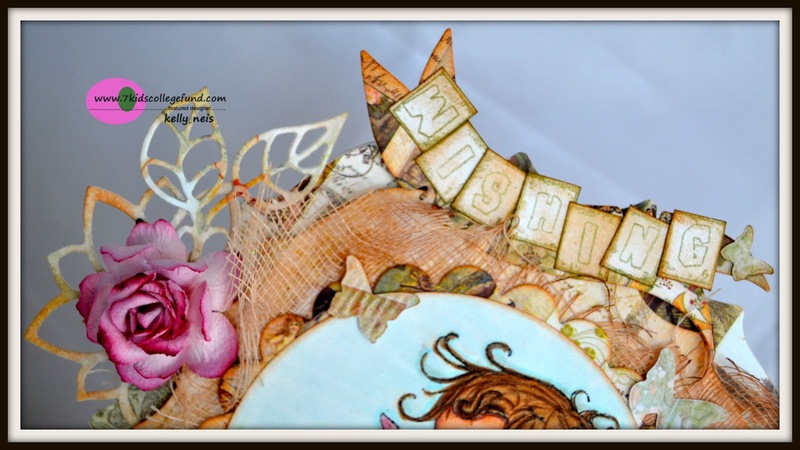 For the sentiment I used Little Darlings Use Your Words fonts on a Magnolia doohickey die. Here is the inside of my card and the Anja Card Base. My papers are Prima's Princess 6x6 pad. Please go check out what my teammates have made at the 7 Kids College Fund Challenge Blog and I sure hope you enter to win the gift certificate from the 7 Kids College Fund Store. 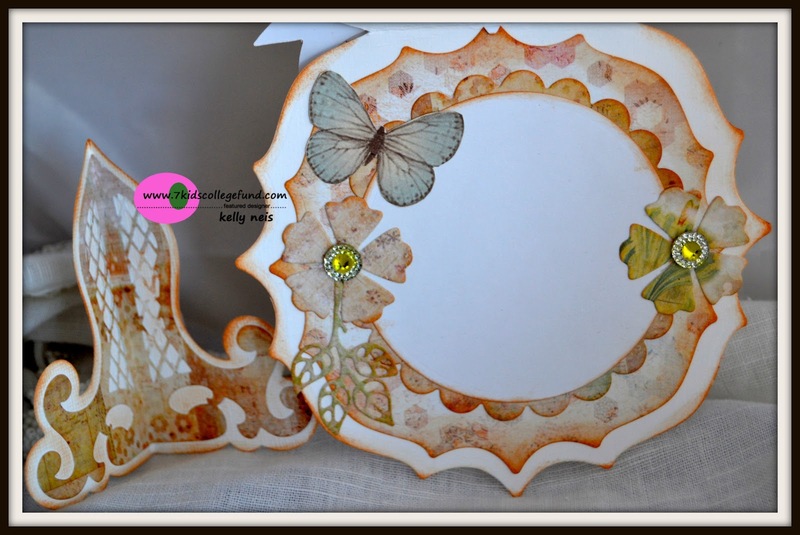 Thank you for stopping by and I hope you get inspired over at the Challenge Blog! Beautifully done Sugar and Mo Manning is definitely the geniusd when it comes to capturing the very essence of her images. This just so sweet! Love that floral trim around the base of your card! Another beauty! Well Kelly you sure colored this Fairy Sweet beautifully! This card is totally gorgeous. Great colors, design and of course your embellishments are wonderful. That easel is icing on the cake! Great art work! Oh wow!!! Stunning stunning !! My face kind of dropped when I saw this gorgeous creation in my bloglovin feed !!! Sooooooo beautiful !! Sorry I haven't visited this week, I've had a few set backs, but I think I'm finally getting back on track!! Such a lovely Mo image, and I love the pink with the kraft - gives it a touch of earthiness - delightful card, Kelly! FAIRY sweet is right. :) love the cute word banner and that little fairy is too cute. The card stand is so cool too. You are being very productive, Kelly! This is the cutest image, colored magnificently, and look at all those luscious embellishments....WOW, WOW, WOW!!!!!!!! Kelly this is stunning! Your coloring looks fabulous. Beautifully embellished.